Imagine your wireless DMX racing along in your very own custom sports car on the wireless autobahn, safe from interruptions, dropouts, and crashes. An impossible dream? Not at all, thanks to RC4 Private IDentities™. Just ask Disney, Cirque du Soleil, Blue Man Group, and many others who trust RC4 equipment on their most complex productions throughout the world. System IDs make RC4 Wireless products as safe and reliable as their wired counterparts. Each RC4 Private IDentities™ is like a different sports car you can drive on the wireless information highway. We give you three sports cars: a Porsche, a Maserati, and a Lamborghini. 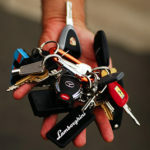 Each car has a key, and — of course — only your Porsche key will operate your Porsche sports car. 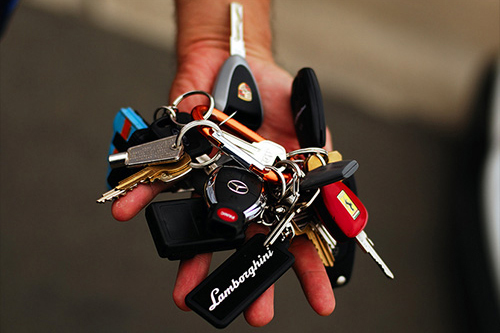 While all our other RC4 customers also have a Porsche, Maserati, and Lamborghini, only you can drive your cars, because your keys are for your cars. You can’t drive other people’s cars, and they can’t drive your cars. The technology behind RC4 Private IDentities™ is very similar to that used in data encryption keys. System IDs essentially create a wireless VPN [Virtual Private Network] for each DMX wireless system. Just like VPNs keep your identity safe from hackers, RC4 Private IDentities™ keep your wireless DMX data 100% private and safe from other projects and systems, with a robust resistance to signal loss and slow down. When new RCMagic or RC5 EASS systems are purchased, the owner is assigned three unique Private ID codes. RC4 is the only firm that has unique System IDs; they are assigned in-house and reside in the firm’s secure, comprehensive database of users and their individual devices. RC4 Private IDentities™ consist of four characters that can each be a letter or number, i.e 2876, 2F7D or DFAF. Each code is a private, secure ID that will stay with the owner and system for the life. Out of the box, each RC4 wireless DMX device has three Private IDs (ID0, ID1, and ID2) plus one Public ID (ID3). The Private IDs keep the RC4 wireless DMX signal safe from interference. Units on the Private RC4 network can communicate with each other, and all systems can easily be expanded. RC4 Private IDentities™ can be selected via the buttons on the device. However, when using RC4 Commander configuration software, the number of Private IDs can be increased exponentially. This enables users in large organizations to customize their systems, while their signal stays uninterrupted and secure, even between many different projects within their own domains. Thanks to RC4 Private IDentities™, working with robust and reliable wireless DMX is as simple as getting into a bulletproof RC4 Wireless limousine and speeding to your destination, safe, secure and uninterrupted.